Adventures in a paddock of about 300 lovely young olive trees in rural New Zealand. What more could a girl ask for :-). 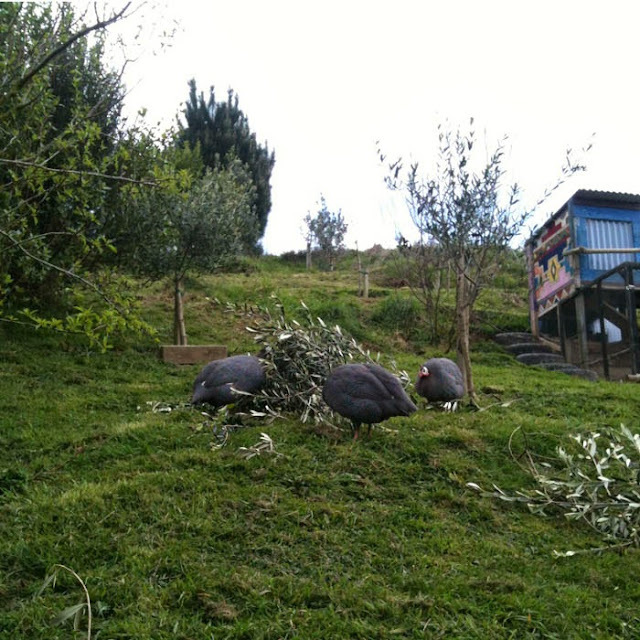 After agonising over it for months, Gerry and I eventually took the plunge and pruned the little buggers. When I say agonising, I mean procrastinating - because that's what we do. Two people who battle to choose between a Monteiths Pacific Pale Ale and a Mike's Premium Organic Double India Pale Ale, are an unlikely pair to just get on with stuff without serious negotiation, a couple of glasses to discuss the situation and a sleep-over-it once more. 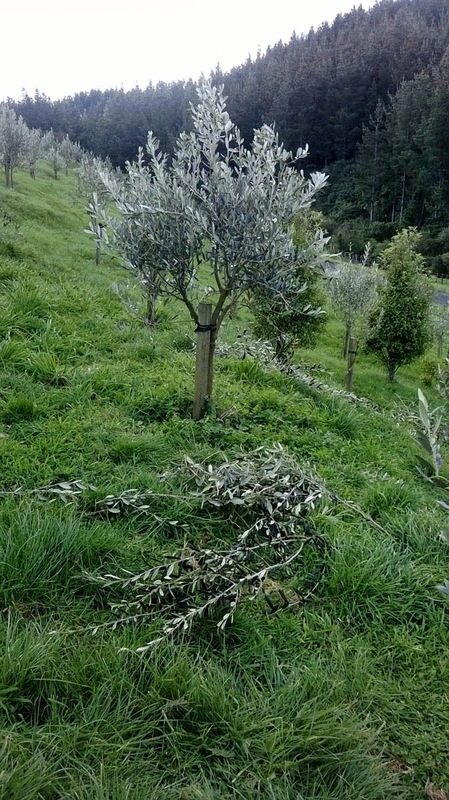 In our defence, the trouble was (at least in my head) that the manzanillos grew long and spindly upright branches with no obvious way of pruning them into a wine-glass shape. "Opening up" the trees would mean cutting off just about everything. For weeks, I would wander around the grove trying to figure out how the trees should be pruned. I even briefly considered hosting a pruning event through ONZ at our place, whereby an expert could demonstrate on a couple of trees how to prune the babies, after which we could apply the learning on the rest. 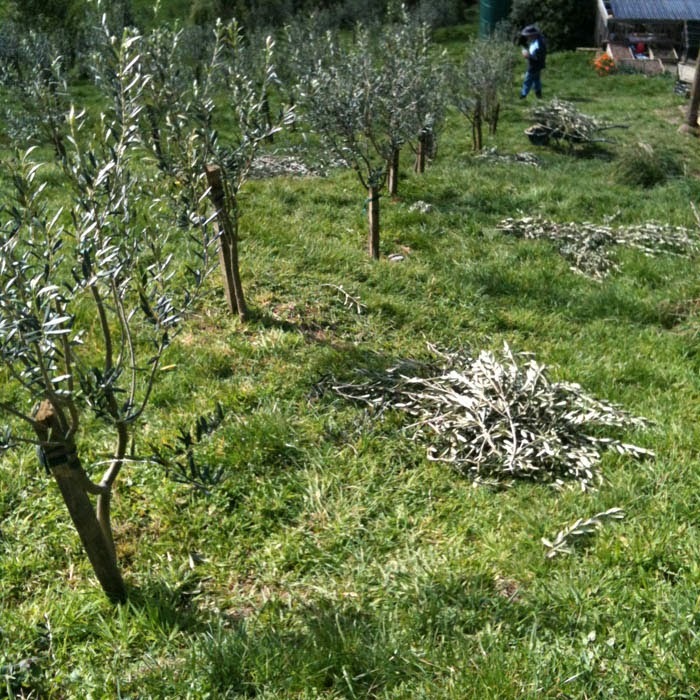 But I fear we might just be held up as an example of "how NOT to" do all things olive related, so gave up on that idea. After noticing that some of the trees seem to start flowering, we realized we just have to get on with it. So on a sunny day, out came the very basic (read cheap) pruners and secateurs as we made our way to the bottom of the manzanillo block. Gerry and I would negotiate every single tree before hesitantly making any cuts, constantly thinking about the consequences of doing the wrong thing. Sometime he would be brave and suggest big cuts and other times I would be the one to take down two-thirds of a tree. Every now and again, one or both of us would get cold feet, and would end up leaving branches that should probably have come off. There's always next year, we would argue. And so over the course of about two weeks, we managed to prune all the trees in-between other work commitments, and weather permitting. It still amazes me how long each little task takes. 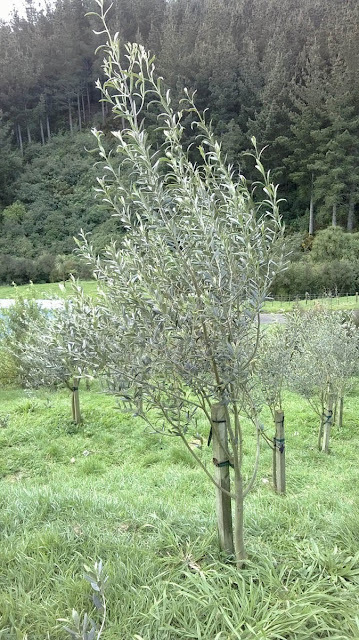 The trees are still so small, it's hard to imagine how long it will take to prune 300 big olive trees! Let alone thousands, as is the case with commercial growers. A manzanillo before it was pruned. suspicion it might be a different variety. Leccino maybe? A trail of clippings scattered behind us on the hillside. that's just been cut off. 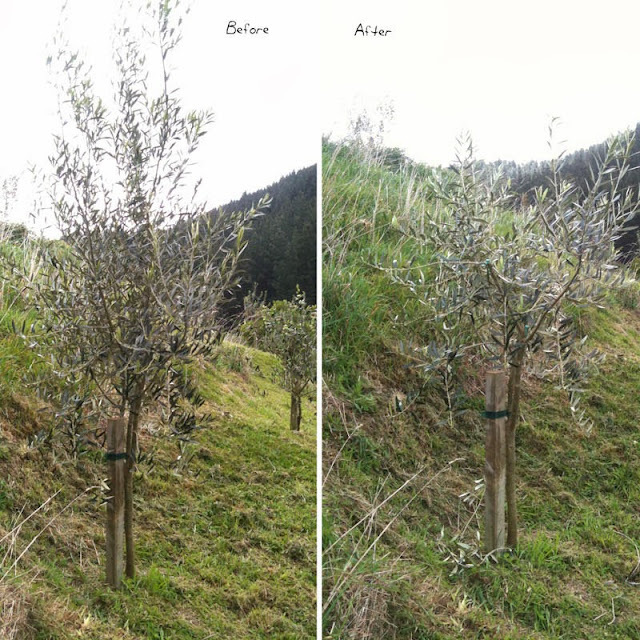 A pendolino tree before and after it was pruned. I'd estimate we removed at least half of each tree. I can juggle and cannot play the banjo. Especially at the same time :).